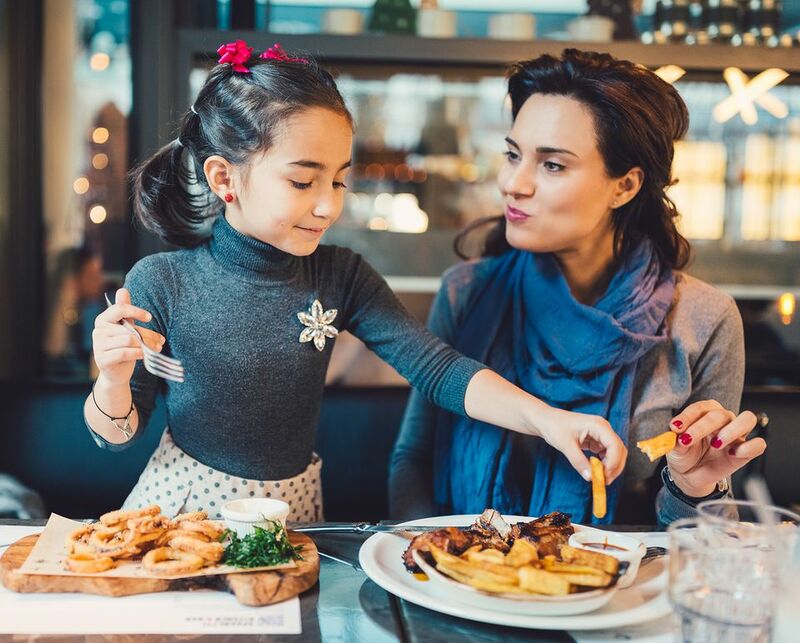 Whether you prefer a more traditional sit-down brunch, buffet, or a show with your meal, Orlando has no shortage of great places to enjoy a wonderful Mother's Day brunch. Brio Tuscan Grille, located in the high-end shopping center, the Mall at Millenia, will offer an Italian-inspired brunch menu on Saturday and Sunday of Mother's Day weekend. You can dine on the delightful frittata al forno, which combines angel hair pasta with crisp bacon and fluffy eggs, a Sicilian omelet that is stuffed with ham, sausage, bacon, roasted tomatoes, breakfast potatoes, and mozzarella. Or, start your day with something sweet like the berries and cream French toast. Take your film-loving mom to the Enzian Theater for a special screening of "Oklahoma!" Each guest is treated to a breakfast buffet with a carving station and complimentary mimosa along with live music before the film begins. Located in the very posh city of Winter Park (just a few miles outside of Orlando), Flemings Prime Steakhouse and Wine Bar has put together an impressive 3-course brunch. Appetizer choices include creamy, homemade burrata cheese, a Caesar salad with prosciutto, and fresh shrimp cocktail. Steak, is, of course, offered as a main dish option, with prime rib being the most popular choice, but you may want to opt for the Eggs Benedict served atop beef tenderloin, for a delicious twist on a brunch classic. Moms who dine during the holiday weekend will also receive a $25 gift card for a future visit. The Royal Crest Room at the Royal St. Cloud Golf Links will serve an expansive brunch buffet with all of the traditional breakfast favorites like scrambled eggs, bacon, and sausage, as well as several soup and salad options, a carving station, and dessert station. Treat mom to a brunch buffet at Spencer's For Steaks and Chops at the Hilton Orlando hotel that includes an omelet and waffle station, sushi bar, a carving station, breakfast pastries, and a selection of main courses including eggs Benedict with spicy hollandaise sauce and blue crab and purple potato hash. The Islands Dining Room at the Royal Pacific Resort at Universal Orlando celebrates moms in style with a Champagne brunch buffet. The buffet features an elegant raw bar, sushi and stir-fry stations, a carving station, a salad bar with organic produce, and plenty of decadent desserts. Moms will receive a complimentary glass of champagne and a beautiful orchid stem​ and can enjoy live music with hula dancers, Universal Orlando characters, a face painter, balloon twister, and more. Trattoria del Porto at the Portofino Bay Hotel also offers a Champagne brunch, with an Italian-style buffet. The menu includes New Zealand racks of lamb, salmon puff pastries, omelets and crepes that are made to order, chilled seafood, pasta stations, and an array of pastries, pies, cakes, tortes, and more. Basil plants are given out to the moms and a Universal Orlando character may even stop by your table. Maria & Enzo’s Ristorante is the new kid on the block at Disney Springs and will offer a sit-down Mother's Day brunch featuring special menu items like panettone French toast, in addition, the regular menu. In true Disney-theming style, the dining area is fashioned to look like a converted airline terminal, with plenty of items to discover during your meal. While there isn't any formal entertainment, the atmosphere guarantees that this brunch won't be a bore.